VIVO Mobiles has recently announced the launch of Y97, a mid range device. Considering the major specification highlights of this device, it includes a water drop notch, stunning color, and Mediatek Helio P60 SoC. 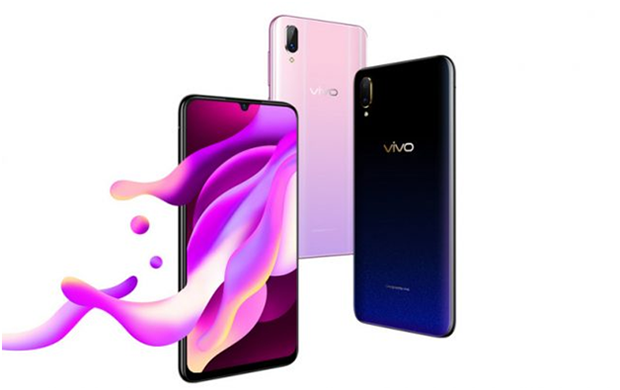 When it comes to price, VIVO Y97 Price in Pakistan would be 35,881 PKR. Design of VIVO Y97 is similar to V11 Pro. It comes in Rose gold, Blue, and Black color options. The gradient finish makes it sophisticated and elegant. The display comes in gigantic 6.3-inch screen on the front is Full-HD+ with a 2280 x 1080 pixels resolution and a 90.3 percent screen to body ratio. It rocks a Mediatek Helio P60 chip inside with clock speeds up to 2.0GHz. There is 4GB RAM and 128GB of internal storage that is expandable to 256GB. Considering the camera specs,VIVO Y97 sports a dual camera setup with a 16MP primary sensor and a 2MP secondary sensor placed on the top left corner. Selfie fans can get the 16MP lens upfront. There is no fingerprint reader. It employs face unlock feature which VIVO says is capable of identifying 1,024 facial points to give true security. There’s a 3,315mAh battery that powers Android 8.1 Oreo mixed with Fun Touch OS. The phone also comes with Dual SIM, VoLTE, and micro USB connectivity options.